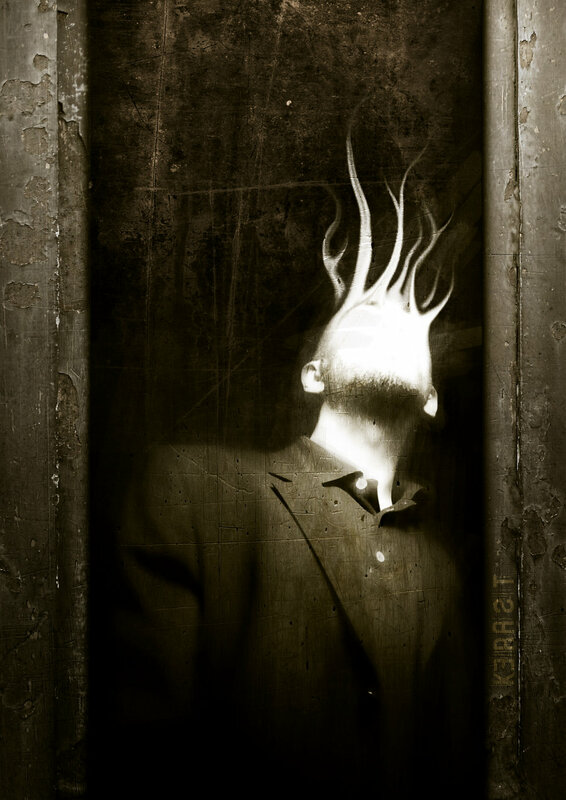 Jimmy Kerask’s photomanipulations are worth visiting over and over again, because they are so richly textured; he lays down layers and layers of texture–scratches and cuts and gouges, peeling paint and cracked plaster, water stained concrete and gauze. The actual compositions tend to be simple, but arresting. I love his work. Natascha Roosli, who goes by the handle “Kyena,” was commissioned by Fantasy Flight Games to produce this illustration of… well, I don’t know what it is, exactly. Skin weed? Can’t be good. Better spray some Roundup on that thing, dude. Call of Cthulhu: The Card Game is well reviewed and features a good deal of eyeball-bursting tentacle art. 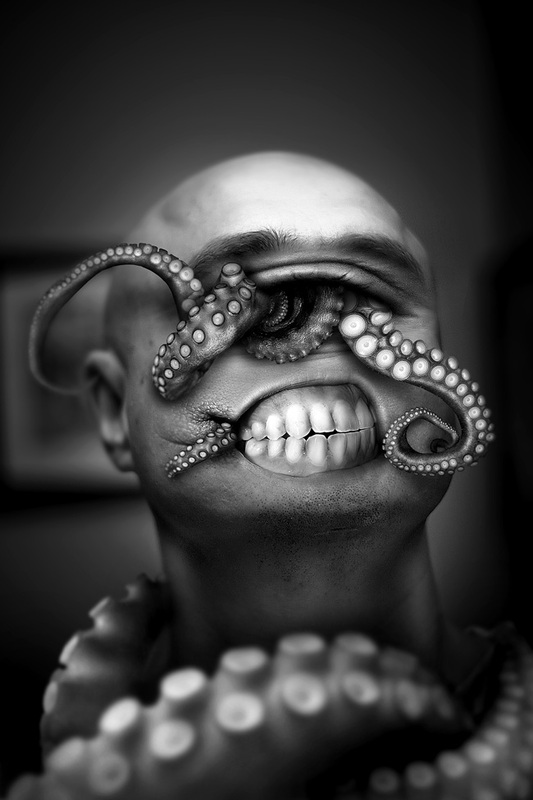 Not sure which is stranger… the tentacles coming out of the single eye, or the oddly bifurcated eyebrow. I mean, a cyclops should have a unibrow, right? This psychotic steampunk snail was created as concept art for a new game called Alice: Madness Returns, released June 14, 2011. 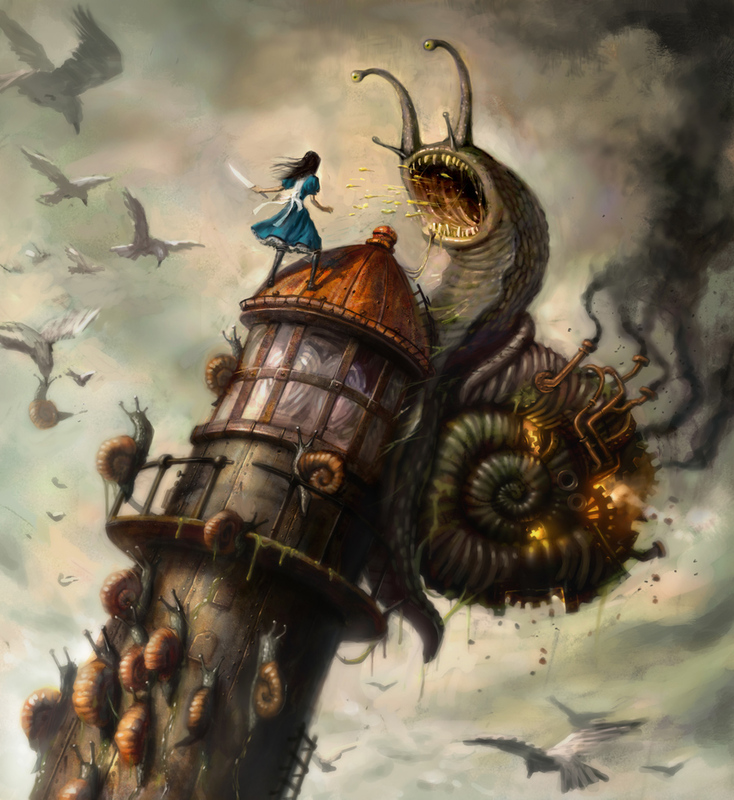 Ken Wong, the artist who created this brilliant work, was also the art director for the new Alice project, a sequel to American McGee’s Alice that was released in October 2000. So far, the game has been praised for its visuals and highly original graphics. 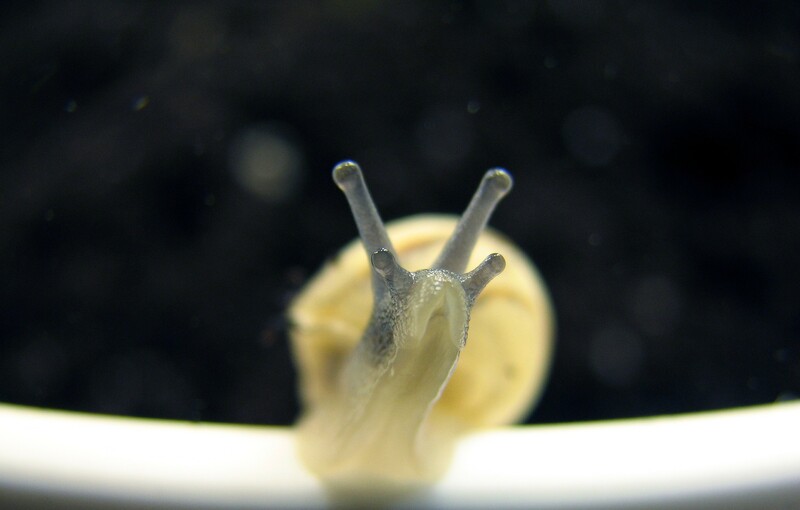 In case you didn’t know, the ommatophores or “eyestalks” of a snail are technically in the “tentacle” category according to Wikipedia. Also, octopuses (octopi) technically do not have tentacles, they have arms. Tentacles are also known as “muscular hydrostats” by the way. Haven’t seen this movie yet. It ranked 57% on the Tomatometer, so it’s obviously not for everyone, the Tentacular Awesomeness not withstanding. And Kevin Bacon is in it, so how could it not be good? Everything is better with Bacon! I’ll give this flick a watch and post an update sometime in the near future.